One of the many benefits of a ‘smart city’ transport system will be the vast reduction in pollution – the importance of which has been emphasised by a new study showing that babies in prams and buggies may be 60% more vulnerable to traffic pollution than their parents. The pollutants – toxic ultra fine particles and nitrogen oxides from vehicle exhausts – have the potential to impair brain development in young children, say the researchers. 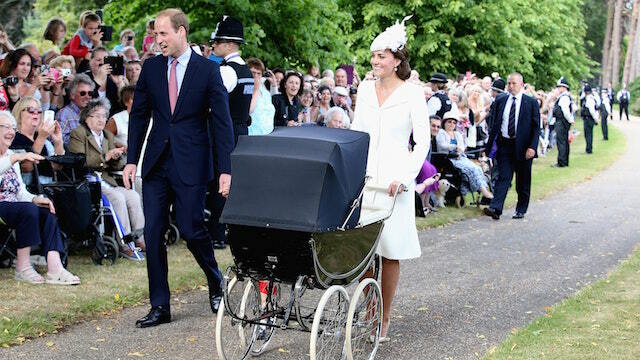 Scientists from the University of Surrey studied different types of pram and pushchair in relation to their height and width and the airflow around them. Vehicle exhaust pipes usually sit within one metre (3.3ft) above the road surface. Infants in prams are positioned between 0.55m and 0.85m above ground level, making them more likely to inhale toxic fumes than walking adults, said the scientists. The evidence showed they could be exposed to up to 60% more of the pollutants than their parents. Professor Prashant Kumar, director of the Global Centre for Clean Air Research at the University of Surrey, said: “We know that infants breathe in higher amounts of airborne particles relative to their lung size and body weight compared to adults. “What we have proven here is that the height most children travel at while in a pram increases the likelihood of negative impacts from air pollution when compared to an adult. Ultrafine particles chiefly produced by diesel engines are known to enter the bloodstream via the lungs and accumulate in lymph nodes and brain tissue. They can cause asthma, allergies and respiratory diseases in children, said the researchers. One component of fine particles known as “black carbon” (BC), the sooty residue of burning fossil fuel, had been shown to reduce thinking ability in young children. Nitrogen oxides (Nox) were linked to inflammation of the airways and greater susceptibility to infections and allergens. The study, published in the journal Environment International, reviewed evidence from previous research highlighting the pollution risk to infants. The scientists wrote: “A number of studies have assessed the exposure of young children but only a handful have focused on in-pram babies. Ways of reducing the risk suggested by the researchers included tighter controls on vehicle emissions, barriers such as road side hedges to shield pedestrians from pollution, and technological innovations that create a “clean air zone” around the child’s breathing area. One of the biggest ways of reducing the risk will be to reduce the amount of pollution being released into the atmosphere by vehicles idling at traffic lights, stuck in avoidable queues of traffic or simp travelling along necessary routes. At LetsJoin, we are working to bring advanced AI technology to bear on the efficiency of public transport systems, reducing the amount of vehicles needed, and making sure passengers can get where they need to go quick and efficiently. An improved, more reliable and more accessible pubic transport network wouldn’t just reduce emissions from he vehicles themselves however – it has the potential to drastically reduce the number of vehicles on the road, as drivers switch to public transport for daily commuting and other regular short trips. And with more and more public transport companies investing heavily in green energy, the addition of LetsJoin’s smart systems could help ensure a cleaner, brighter future for everyone.